Stay tuned for more With the Dean events in the 2017-18 Academic Year. In the meantime, here are some posters from last years’ events. 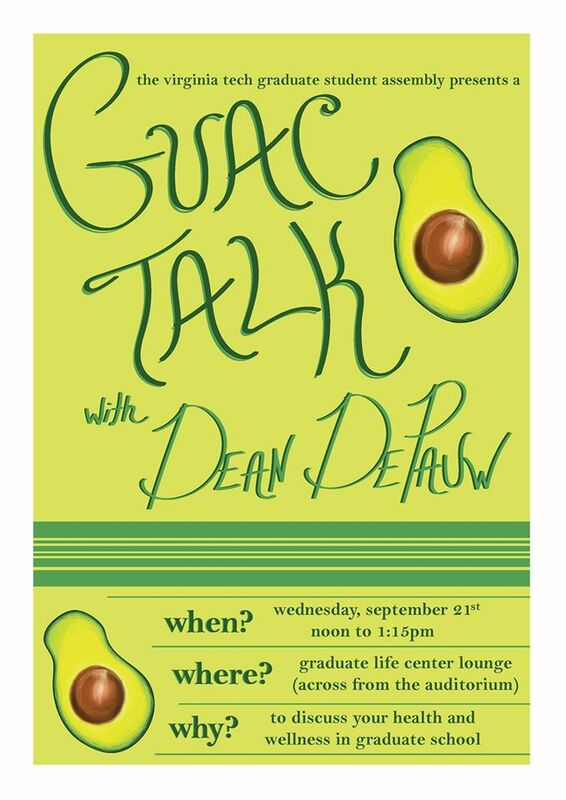 Image description: A shiny avocado invites you to a Guac Talk with Dean DePauw on Wednesday, September 21st, from noon to 1:15pm, in the Graduate Life Center Lounge. The specific theme of this Guac Talk was health and wellness in graduate school. Image description: A stylized cup of coffee sits calmly in front of a mauve background. “Breakfast with the Dean” is spelled out in psychedelic lettering. 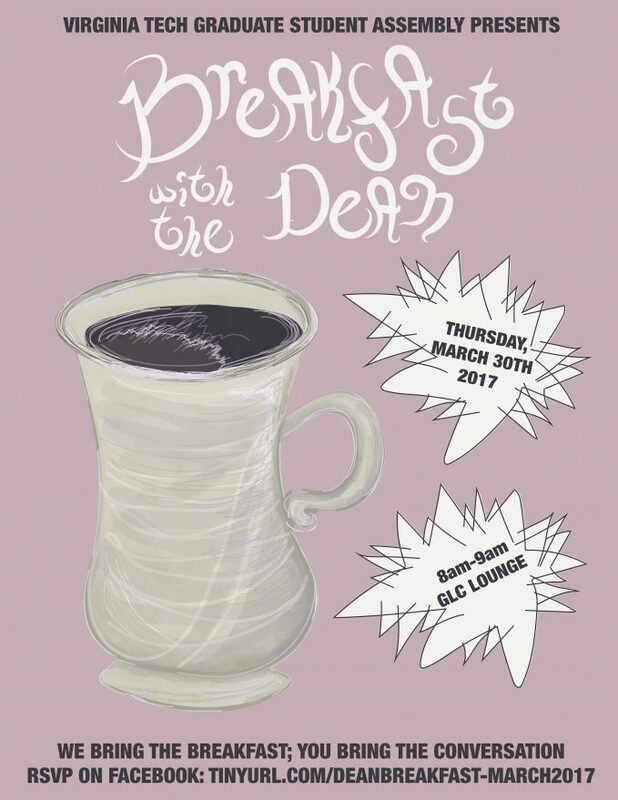 The breakfast occurred on Thursday, March 30th, 2017, from 8am-9am in the GLC Lounge. 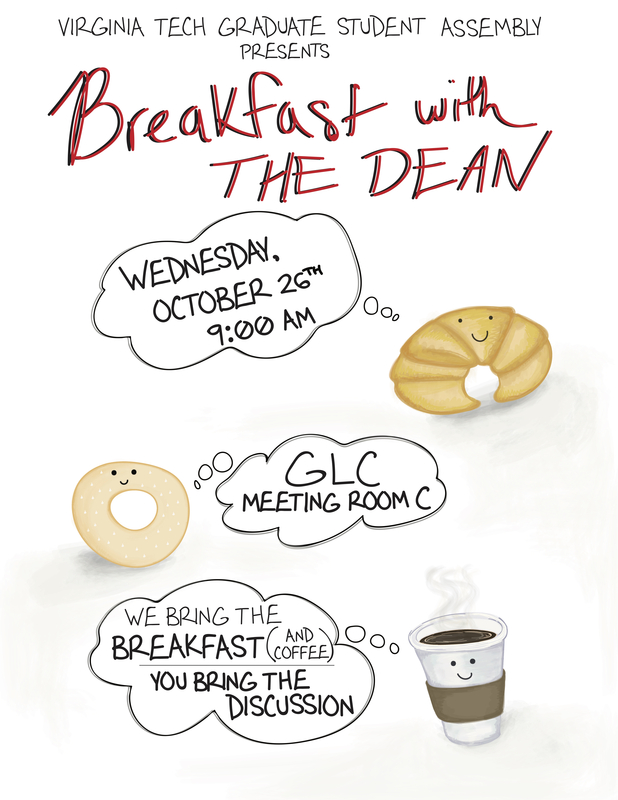 The tagline is: “We bring the breakfast; you bring the conversation.” Attendees could RSVP on Facebook at tiny url.com/deanbreakfast-march2017.